Oil’s “new normal” will be global oil prices at or below $70 per barrel, say John Mauldin of equities.com, and many other analysts. Western Canadian Select (WCS) closed at $55 per barrel this week. The impact on the Canadian economy will be ugly and prolonged. Fasten your seatbelts. Those following international events have probably already seen the stories on Putin’s Russia, and the combined impact international economic sanctions, and now, the unexpected and unwelcome plummet in World oil prices. The Russian economy in 2015 will likely see a budget deficit of $20 Billion or more as the ruble collapses and oil prices plummet. The problem is global and expected by analysts to persist for the foreseeable future. Lesser developed countries like Venezuela and Nigeria, which are more dependent on their oil economies, are expected to see even greater impacts. Economists commonly refer to this as the “natural resource curse.” Put simply, it means that national economies that elect to depend on their natural resources for economic prosperity, have consistently underperformed economies that emphasize greater economic diversity and prepare for the wild swings of commodity prices. A key missing element in these economies is a lack of investment in innovation which causes a deterioration of productivity. Canada’s involvement in this same scenario is getting limited attention. As the other major industrialized country with a “natural resource exploitation” based economy, fueled by the support of the current federal government which includes known climate change skeptics, Canada is running into the same buzz saw as Russia. The Prime Minister is keen to put a brave face on all of this, which to many seems to have the feeling of “whistling in the graveyard.” Last week, the government announced a program to allegedly fight the higher prices many Canadians pay for goods priced much more cheaply in the United States. Long a thorn in the side of Canadians, the move is seen as political arm waving with no teeth. 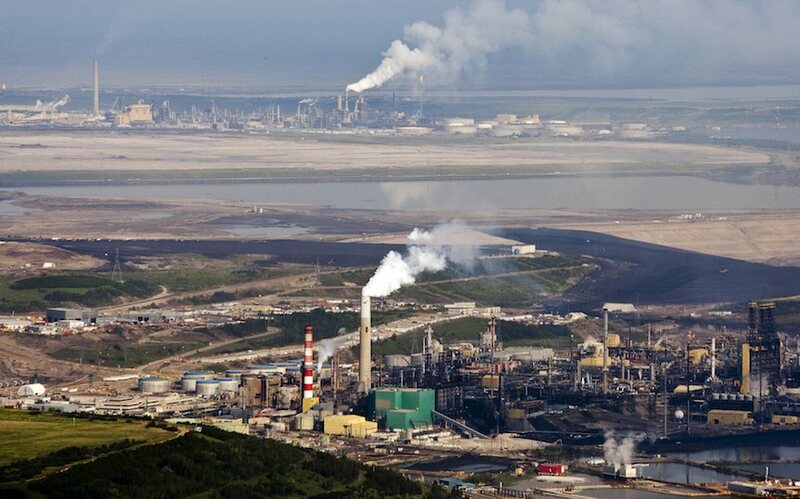 The declining Canadian dollar and economic impact of our “natural resource curse” will make Harper’s plan to eliminate higher Canadian prices a sad joke on Canadians. The full impacts of these economic realities will be far wider: significant loss of jobs, chronic government budget deficits, a decline in industrial investment. Canada’s OECD productivity has fallen sharply behind the other industrialized countries. There will most certainly be a further decline in productivity due to Canada’s decades long failure to invest in innovation, preferring instead to offset poor productivity with windfall dollars from natural resource exploitation. There is one industrialized nation that has recognized the reality of this Doomsday scenario: Norway. Norway has taken bold national action to protect the nation from the whipsaw impacts of the “natural resource curse.” I have previously written about Norway’s plan to protect its economy, as has The Globe & Mail, while the Harper government prefers to do nothing. ← The Heavily Discounted Value of a University Degree. What Has Happened? Kudos for my friend David for updating people across the world about his timely identification of change in ground realities, it’s implications and complications for all concerned. I missed your article on Norway’s plan to tackle this issue so far but now I’m going to throw it. I wrote a comment on this issue regarding M.E ,particularly Suadi Arabia in the Economist last week.